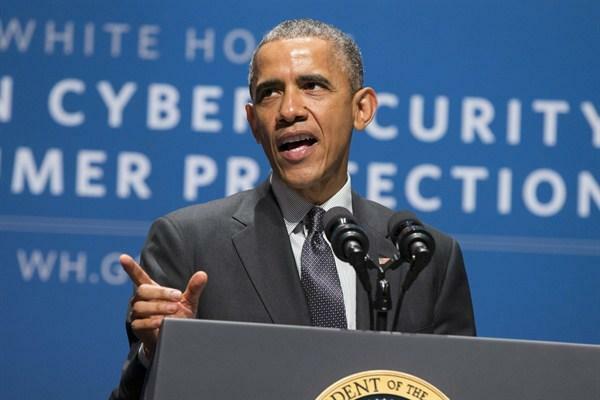 US president Barack Obama has issued a warning to world leaders that when it comes to cybersecurity, the US is unparalleled. Obama told press after a meeting with Russian president Vladimir Putin on Monday at the G-20 meeting in China in while some nations had built formidable cybersecurity capabilities, none yet matched US power. “Frankly we’ve got more capacity than anybody, both offensively and defensively,” Politico quotes Obama. The comment follows finger-pointing at Russia over the recent breach of the Democratic National Committee (DNC) and fears the Kremlin is attempting to sway the US elections. US offensive capabilities were also in the spotlight again after a hacking group known as Shadow Brokers leaked a number of National Security Agency zero-day exploits for Cisco and Fortinet firewalls. Again, some have speculated the group is affiliated with the Russian government. The leak reignited debate over worries the NSA was stockpiling cyberweapons. The leak demonstrated NSA hoarding can endanger organisations that use vulnerable software if those vulnerabilities fall into the wrong hands. Former NSA contractor Edward Snowden recently speculated the leaked NSA files were a signal to the US that it should avoid attributing the DNC hacks to Russia. Obama on Monday was responding to questions whether cyber security was raised during his 90 minute meeting with Putin, however he avoided saying whether the US was any closer to attributing the DNC hack to Russia — only that active investigations were underway. "Our goal is not to suddenly, in the cyber arena, duplicate a cycle of escalation that we saw when it comes to other arms races in the past,” The Telegraph quotes Obama. "What we cannot do is have a situation in which suddenly this becomes the wild, wild west, where countries that have significant cyber capacity start engaging in unhealthy competition or conflict through these means,” he said. Besides, cybercriminals would be a big enough challenge even without state-backed hackers, he continued. One of the key norms the US hopes to establish is that G-20 members “should not conduct or support cyber-enabled theft of intellectual property”.